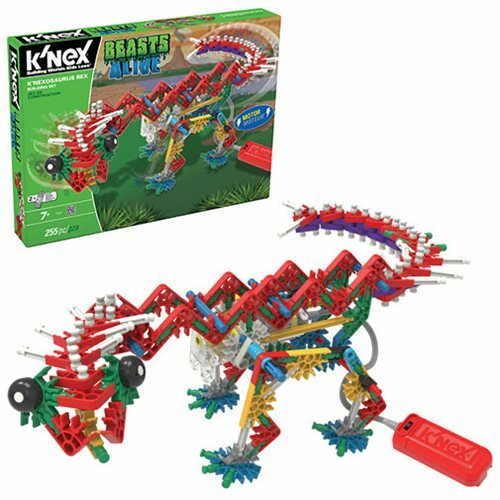 Build a battery-powered T-Rex with this K'NEX K'NEXosaurus Rex Building Set! This awesome set includes over 200 classic K'NEX pieces to construct your own dinosaur with. Requires 2x "AA" batteries, not included. Recommended for ages 7 and up.